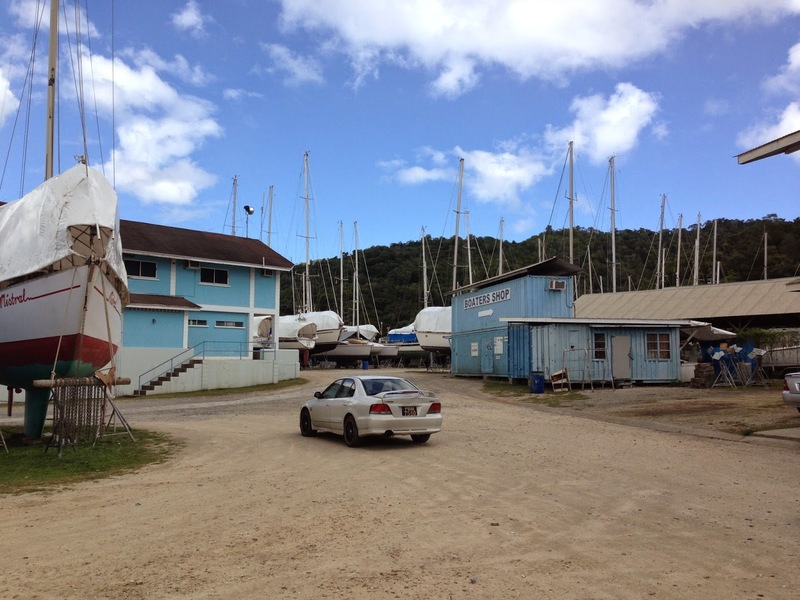 So here we are, still on the hard in “Powerboats” boat yard in Trinidad. 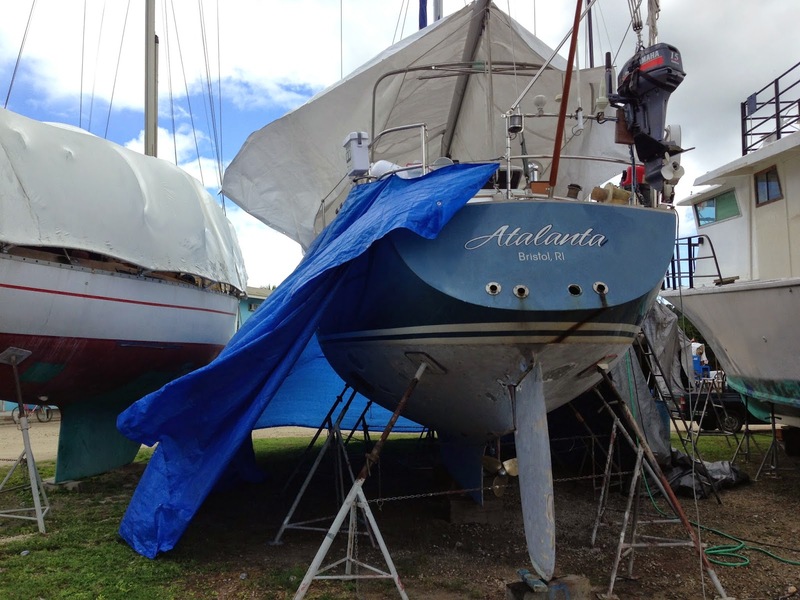 While we fully expected the engine install to be completed by now, we didn’t anticipate that we would have extensive work needed on the bottom to correct a problem that predated our ownership of Atalanta. Atalanta is a high quality boat but old. She turned 31 this year. 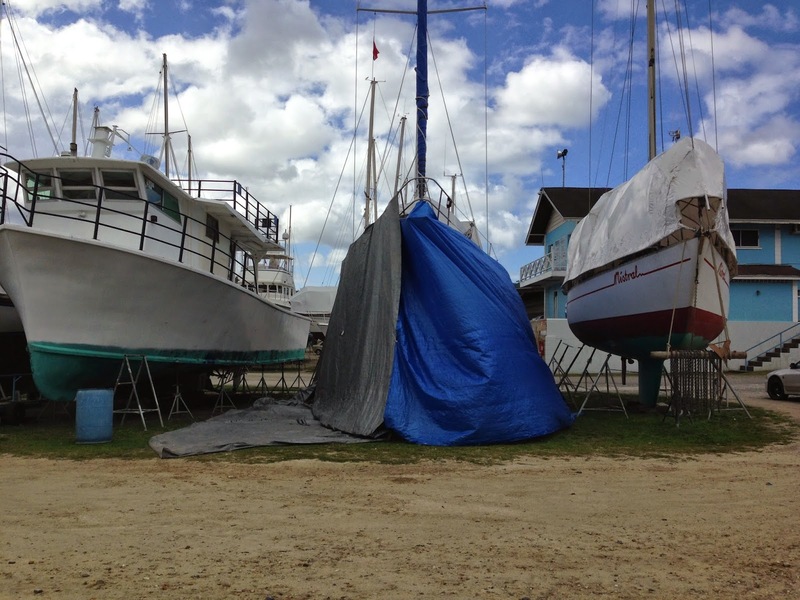 As such she has had a number of owners that have done work on her. Some of that work was not done with the materials best suited to the job. Hence our issues with the bottom. A filler that is often used on cars (Bondo) was used to fair the bottom under the barrier coat and bottom paint. Over time this material absorbed water and began to blister. 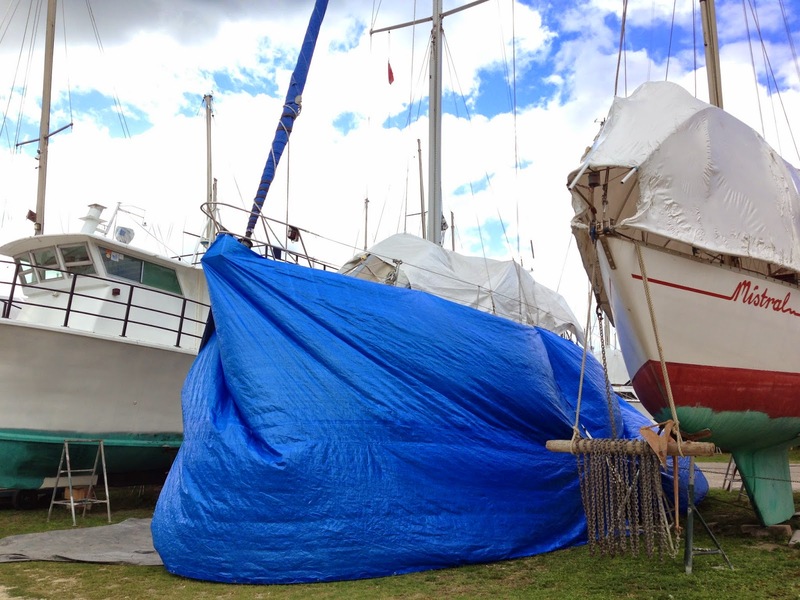 To correct the issue, we have had to grind down the entire boat below the waterline, re-fair it with an epoxy resin, apply 5 coats of barrier coat, two coats of primer and three coats of bottom paint. This process takes time and the application of these materials must be done in a very specific way. We are looking forward to the completion of all this work so that we can get on with our travels. We planned to leave here on the 15th of January, but that is looking unlikely. Now our goal will be to leave on the 20th, joined by our good friend John who has will join us on our trip north for a number of weeks. We promise that this blog will become far more interesting once we begin to move again. Until then with all our best.